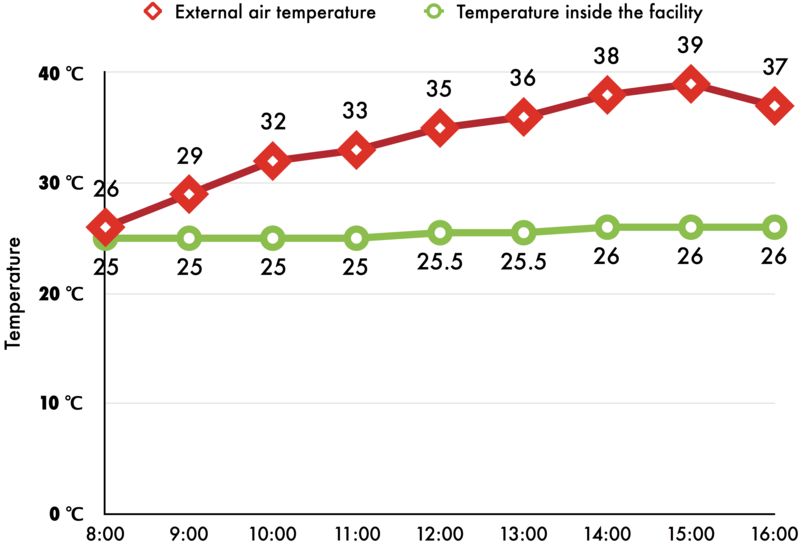 Temperature measurements in our production facility located in Celldömölk, recorded in July, 2015. The building has NO air conditioning or any other cooling appliance installed. Please, click on the chart to see full details.